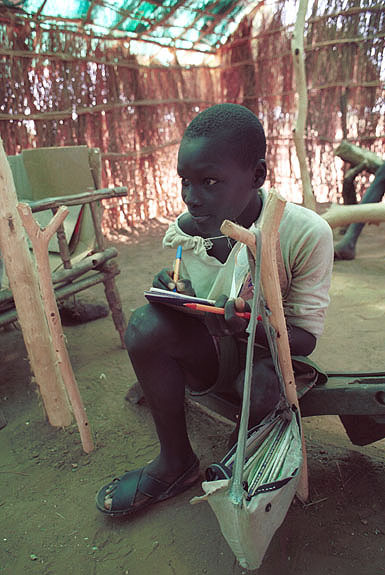 School class held in the shadow of a tree in Narus, a small village in Eastern Equatoria. 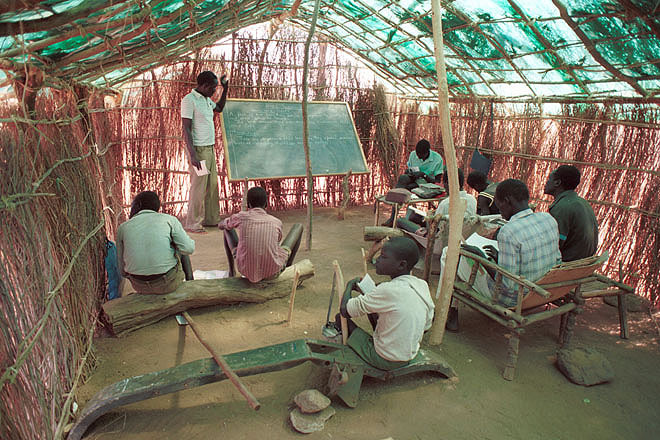 The school in Narus, a small village in Eastern Equatoria, has not seen much improvement for years except for some plastic sun- and rain-shields. 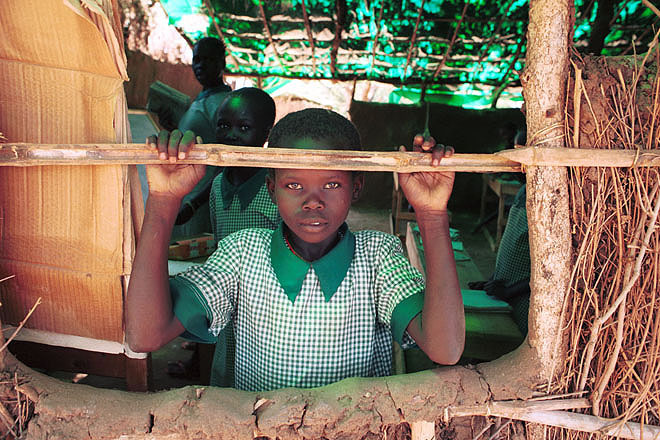 Young girl in Narus, a small village in Eastern Equatoria. 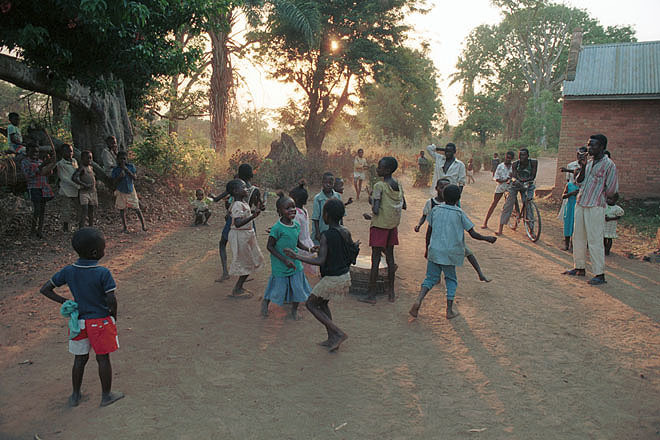 Youth group in Yambio, a small town in Western Equatoria. 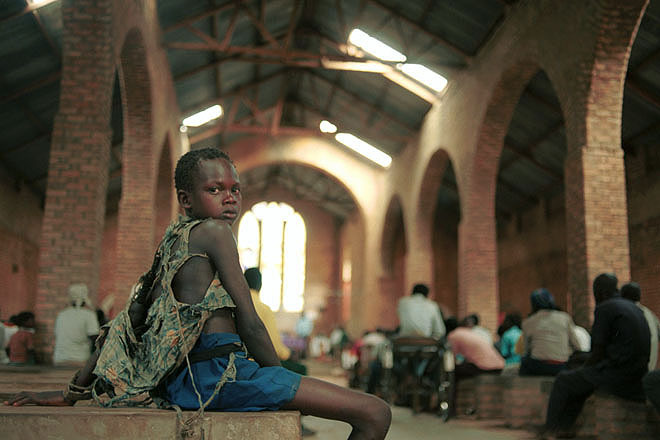 Worship in the Episcopal Cathedral in Yambio, a small town in Western Equatoria. 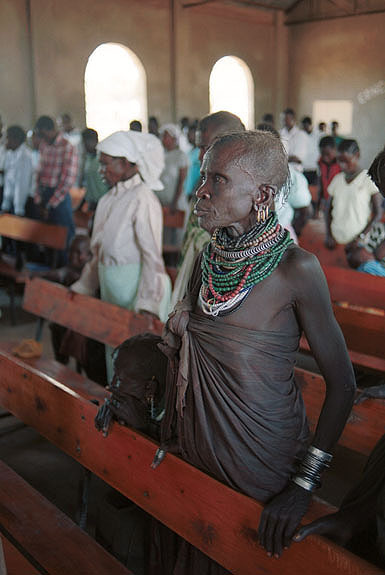 Turkana woman during Sunday worship at the Africa Inland Church in Lokichokio, a small town on the border with Sudan. 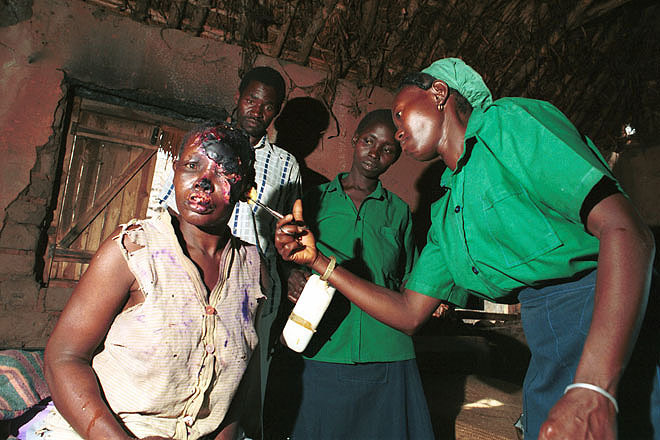 Patient at the medical clinic in Narus, a small village in Eastern Equatoria. 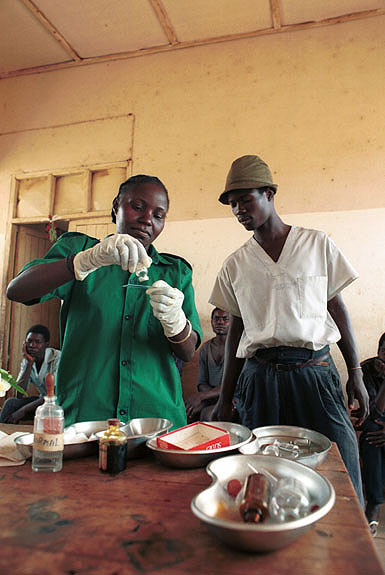 The hospital in Yambio, a small town in Western Equatoria, has no trained doctor, but thanks to donations from abroad provides a greatly needed service to the population of the area. 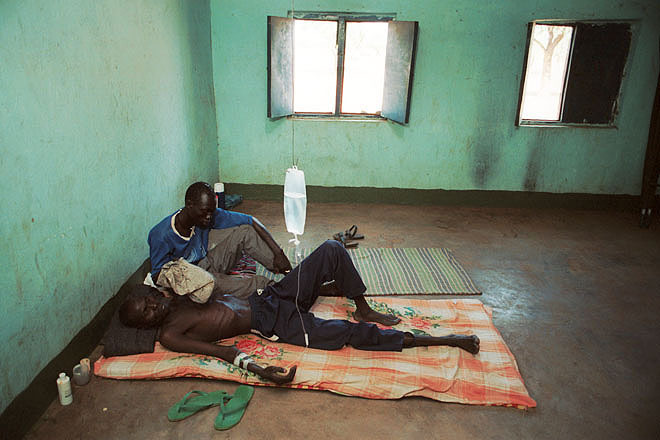 Clinic in Ayod, a small village in Upper Nile. 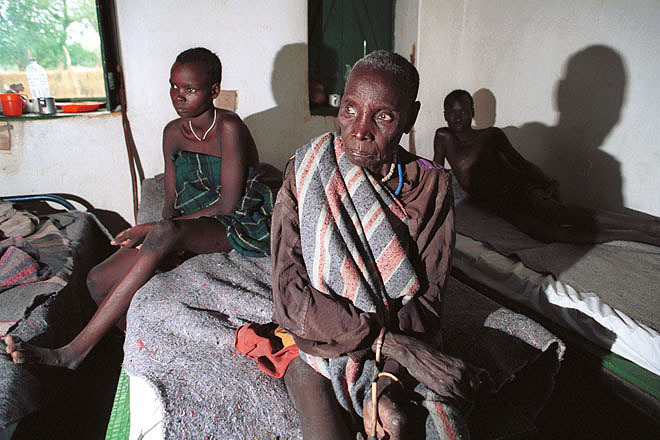 Patient at the medical clinic in Ayod, a small village in Upper Nile. 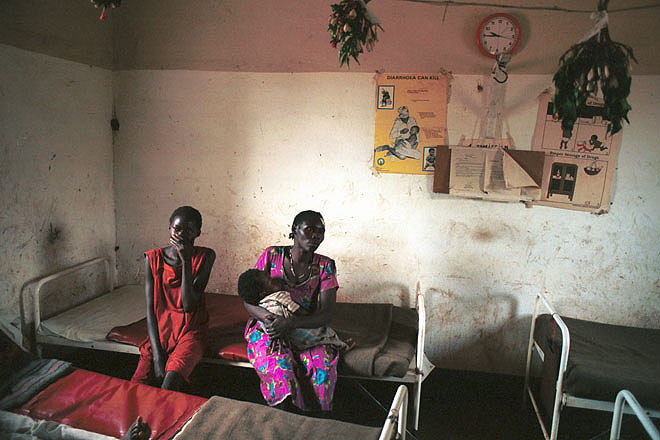 A young mother with her newborn baby at the hospital in Yambio, a small town in Western Equatoria. 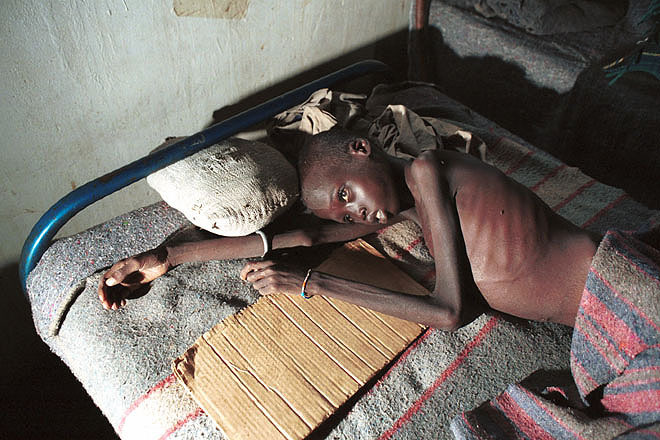 The hospital has no trained doctor, but thanks to donations from abroad provides a greatly needed service to the population of the area. 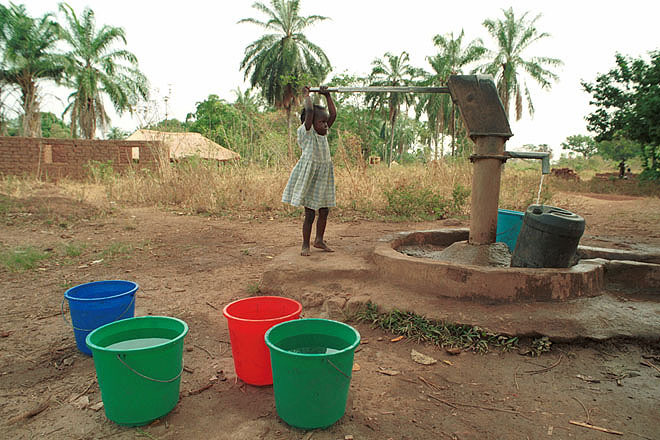 Small girl taking water in Yambio, a small town in Western Equatoria. 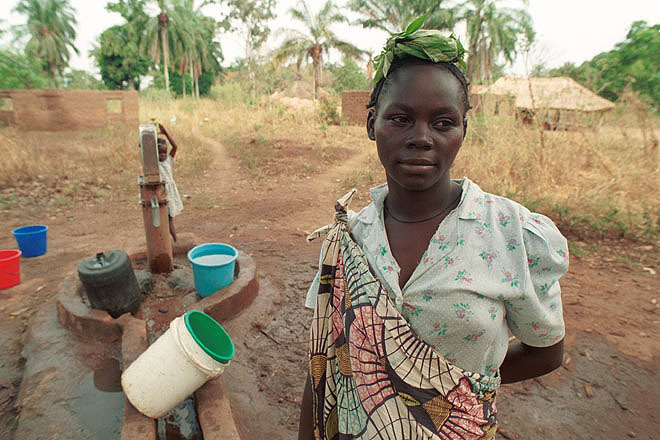 Young woman in Yambio, a small town in Western Equatoria. Rev. 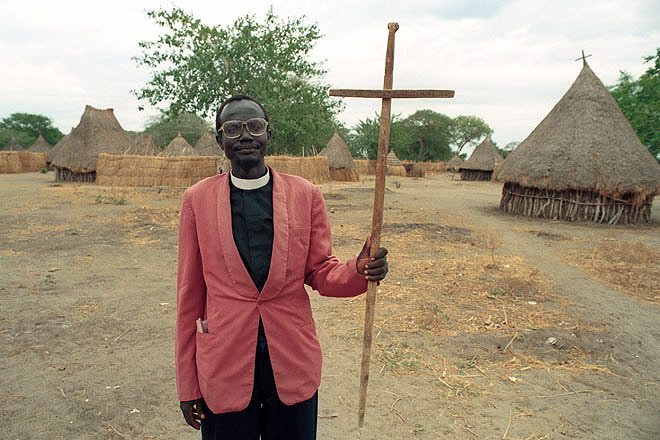 Jacob Bol Dieu the Anglican priest in Ayod, a small village in Upper Nile.